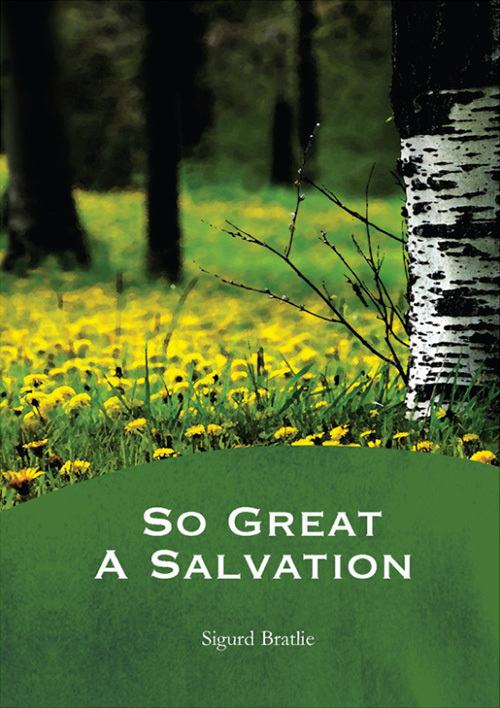 What does the salvation Christ came with really involve? “How shall we escape if we neglect so great a salvation, which at the first began to be spoken by the Lord, and was confirmed to us by those who heard Him …?” Hebrews 2:3. Christianity is about salvation. But have you ever realized what it really involves? We read about Jesus, “You are My Son, today I have begotten You.” Hebrews 1:5-6. Jesus is the firstborn. Thus it is also God’s will for us to be born to be His children, Jesus’ fellow brethren. We are called to such a great salvation. All things were put under Jesus’ feet when He crushedThis refers to the process in which God breaks down a person’s own self-righteousness, strength, and pride so that they can come to a position of humility and obedience wherein He can use them to carry out His will. (Psalm 51:16-17; Isaiah 53:10)... More the Serpent’s head in the days of His fleshSin is anything that goes against God’s will and His laws. To commit sin is to transgress or disobey these laws. The lust to sin dwells in human nature. In other words, it is contaminated and motivated by the sinful tendencies that dwell in all people as a result of the fall into sin and disobedience in the garden of Eden. This... More. As yet we do not see all things put under His feet. Quite often it appears as if Satan has gained the victory in our days. But that is so that we can gain the same victory as Jesus. All things must also be placed under our feet. All the angels have been sent out to serve us in this battleAlmost all talk of battles and wars when concerning a Christian life refers to the inner battle that arises when a sinful thought tempts you. God’s Spirit and the flesh are at odds. When you have decided to only do God’s will and are being led by the Spirit, a conflict between the flesh and the Spirit arises: there is... More and in this salvation. We can be tempted by all kinds of things, but we are no longer tempted by something that we have under our feet. Then we have rest. We can be shaken in whatever area we are still human, but we are unshakable in whatever area the divine natureGod’s nature, or divine nature, is perfectly pure and it cannot be tempted by evil. We are promised that we can be partakers of the divine nature by fleeing the corruption in the world that comes through our lusts. As we gradually overcome our sinful human nature it is replaced by divine nature – God shares His own nature with... More has been born in us. Therefore it is a continuous birth as our human nature is put to death and we partake of the divine nature. This is what the promises are all about. Peter writes, “By which have been given to us exceedingly great and precious promises, that through these you may be partakers of the divine nature, having escaped the corruption that is in the world through lust.” 2 Peter 1:4. Jesus put all human nature to death, and the fullness of the Godhead came to dwell in Him bodily. He is the firstborn, and as many of us as are partakers of this salvation follow Him. “But,” you say, “Jesus was different. It can’t possibly be like that with us.” Yet that is precisely what it can be. We are God’s children if we are led by the Spirit of God. But if we are children, then we are also heirs, God’s heirs and joint heirs together with Christ! (Romans 8:14-17) Not different, but like Jesus! Therefore He is not ashamed to call us brethren. That’s how great this salvation is! Jesus, was the only One who was like God. He was the sole heir. But He did not consider it robbery. (Philippians 2:5-6) He also wanted us to be joint heirs with Him. Therefore Jesus voluntarily renounced being like God and became like a man. He consecrated a new and living way, from people to God. A way on which people could be partakers of divine nature, God’s nature. (2 Peter 1:4) You will inherit together with Christ to the same degree as you have partaken of divine nature. Therefore Jesus says: “To him who overcomes, as I also overcame …;” “If you keep My commandments, just as I have kept My Father’s commandments …;” “That you love one another, as I have loved you;” “That they may be one just as We are One;” “That they may be made perfect in one, that the world can believe.” Here you can see: we are called to so great a salvation! But who has believed the message he has heard? In whom have the promises been fulfilled? It says that the old heroes of faith did not receive the promise because God had provided something better for us. (Hebrews 11:39-40) Have you thought about the fact that God has provided something better for you than what He provided for the old heroes of faith that are mentioned in the previous verses? If you do not consider such a great salvation, how can you possibly think that you will escape God’s judgment? You imagine you are so humble when you say, “I am so wretched; I’ll be happy enough to have my sins forgiven.” Those who say that demean Jesus’ work and despise God’s goodness. That is not humility; it is stubbornness. Jesus can save to the uttermost those who come to God through Him. (Hebrews 7:25) You will not be judged because you are so wretched, but because you do not believe. “Yes,” you say, “but not all have faith.” Correct! Those who are unreasonable and wicked do not believe. (2 Thessalonians 3:2) You cannot believe in this salvation and at the same time love this world. You cannot believe in partaking of divine nature and at the same time love your self-life. Maybe you say, “I too believed once that I could become good, but unfortunately, I have seen that we cannot be anything but human.” But when you say something like that, you actually testify to the fact that you have cast away your good conscience and have therefore suffered shipwreck of your faith. (1 Timothy 1:19) You have ceased to be careful and to acknowledge your sinSin is anything that goes against God’s will and His laws. To commit sin is to transgress or disobey these laws. The lust to sin dwells in human nature. In other words, it is contaminated and motivated by the sinful tendencies that dwell in all people as a result of the fall into sin and disobedience in the garden of Eden. This... More; therefore, unbelief has gained power over you again. And then, of course, it is easier to sinTo commit sin is to consciously do something that you know goes against God’s will. This can be in word, deed, or even thought. (James 1:14-15)... More daily and receive forgiveness. Maybe you think that behaving like the widow toward the unrighteous judge is somewhat tiresome. With such an attitude you will never gain your right over your adversary, the devil, who goes around trying to devour whom he can. But it doesn’t need to be this way! This is an edited version of an article that first appeared in Norwegian in BCC’s periodical “Skjulte Skatter” (“Hidden Treasures”) in January, 1937. God resists the proud but gives grace to the humble. Judging yourself and humbling yourself is the greatest thing you could do in this life!